Is a 2000's mongoose fuzz extreme any good? Good is relative, but that's around the time Mongoose sold out and started being sold at Walmart. That is a clean example! Looks like a Walmart version, but still a cool old freestyler !! 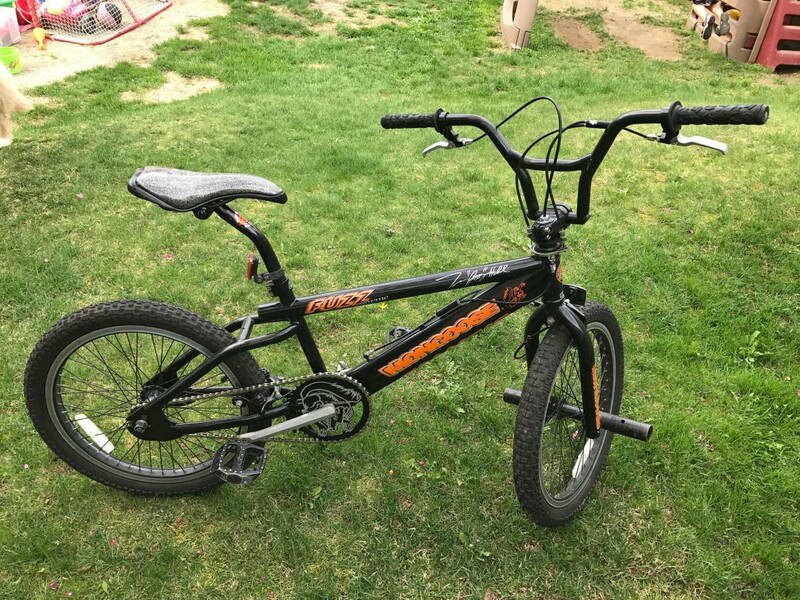 some posts of these on bmx museum site saying it wasnt a walmart bike, i actually worked at walmart till 2001 and dont recall seeing any mongooses there yet. In December 2000, with new resources from the Wind Point Partners deal, Pacific Cycle acquired the bicycle division of Brunswick Corporation for $60 million, obtaining control of the Mongoose and Roadmaster brands. This also gave Pacific Cycle access to Wal-Mart, who was the second largest retailer of bikes and to whom Brunswick was the largest supplier. Mongoose had maintained a strong reputation for quality and performance, particularly among younger, BMX enthusiasts. Pacific Cycle brought Mongoose into the mass-merchant channel at Wal-Mart. ​​​​​​hello . I'm wondering if you're looking to get rid of the Mongoose fuzz you have. I used to have one as a teen, actually the first one I bought on my own. If you're interested, let's see what we can work out.